1.1 Face ID? What’s that? It’s iPhone X’s prominent feature. It basically replaced Touch ID by unlocking your iPhone using your face instead of your fingertips. 1.2.1 Before you set up Face ID, make sure that there isn’t anything covering the TrueDepth camera or your face. 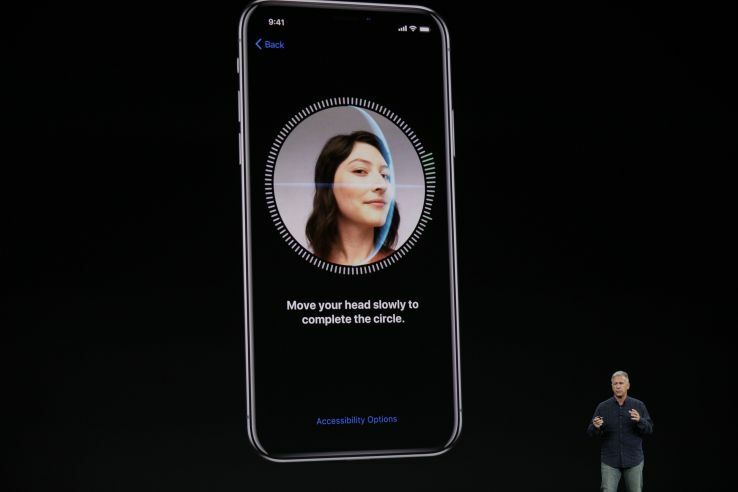 Face ID is designed to work with glasses and contacts. Face ID works best when your iPhone X is approximately an arm’s length or closer (10-20 inches) from your face. 1.2.3 Go to Settings > Face ID & Passcode. If asked, enter your passcode. 1.2.4 Tap Set Up Face ID, then position your face in front of your device and tap Get Started. 1.2.5 Look straight into your iPhone and place your face inside the frame. 1.2.6 Gently move your head to complete the circle. If you’re unable to move your head, tap Accessibility Options. 1.2.7 When you finish the first Face ID scan, tap Continue. 1.2.8 Gently move your head to complete the circle for a second time. 1.2.9 When Face ID setup is complete, tap Done. 1.2.10 If you didn’t set a passcode, you’ll be asked to create one to use as an alternate way to verify your identity. 1.2.11 To choose features that you want to use Face ID with or reset Face ID, go to Settings > Face ID & Passcode. 1.3.2 Raise to wake or tap to wake your iPhone X. 1.3.3 Glance at your iPhone X. 1.3.4 When the lock icon on your screen animates from closed to open, swipe up from the bottom of the screen to unlock. 1.3.5 To turn this feature on or off, go to Settings > Face ID & Passcode > iPhone Unlock. Face ID? What’s that? It’s iPhone X’s prominent feature. It basically replaced Touch ID by unlocking your iPhone using your face instead of your fingertips. Tap Set Up Face ID, then position your face in front of your device and tap Get Started. Gently move your head to complete the circle. If you’re unable to move your head, tap Accessibility Options. Glance at your iPhone X. To turn this feature on or off, go to Settings > Face ID & Passcode > iPhone Unlock.